Will You Help Us Build A Future For Disadvantaged Children? Our Brick By Brick Appeal* aimed to raise tha balance of funds required to build The Mango Tree House - a purpose built pre-primary school and afternoon tuition centre for disadvantaged children living in slums and other poor accommodation in the Karaswada area of Mapusa, North Goa. A plot of land was purchased in early 2015 and our Brick by Brick Appeal started in 2015. Thanks to a very generous donation of £36,900 in early 2018 we believe that we have the funds in place to build. This staggering donation arose from the legacy of Roger Frederick Davey who, having had many happy travels in India and observed first hand the poverty, wished it to be used to build part or all of a school. Thankfully Roger's daughter Emma found Mango Tree and gave the donation to build the downstairs classrooms of our new building. It had been our aim to make it possible to own premises in Goa since the Charity was founded in 2012 and Roger's legacy means that the end is in sight. You can read more about his legacy in our newsletter here. Over the last 3 years we have been supported by so many people with fundraisers, donations and most of all through the buying of bricks. Our Walls of Support at Mango House, spread throughout our classrooms, are a fabulous reminder of everyone who chose to lend a helping hand. Every brick mattered and we are grateful for all of them. As of Summer 2018 most of the permissions needed to start the build are in place and we hope to be able to make a start in the winter. We still need to raise the funds for fixtures, fittings and furniture for the new school and our Buy a Brick Fundraiser continues. You can read more about it below. Please help us if you can. 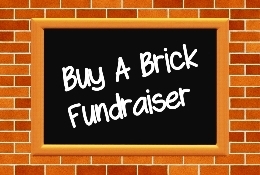 Our Buy A Brick Fundraiser remains a really important part of our fundraising effort. 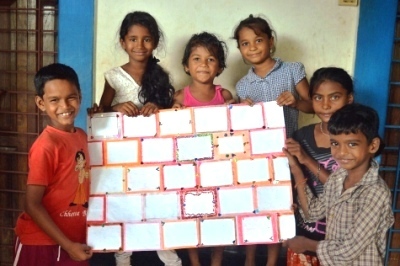 Please click here to read how the children at Mango House will add a "brick" to their "wall" in respect of every donation of £5 or more. We really do need your help to make our plans a reality. If you could raise funds for our Appeal please contact us – we would be delighted to hear from you. We have put together a list of ways you could fundraise here. The ideas range from something as simple as doing a car boot, selling something for us on ebay, organising a Coffee Morning at home or taking cakes to work or something as difficult as taking part in an extreme challenge. It doesn’t matter what you do – but if you can, please do something. 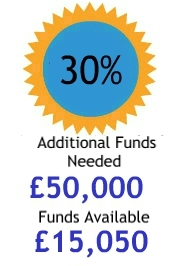 Please help us reach our target. By supporting our Brick By Brick Appeal* you really will give hundreds of children a real chance to break free from the poverty cycle. * We are raising funds to build and equip The Mango Tree House. If for any reason we are unable to build the House or we have surplus funds leftover we will use the donations to provide other accommodation and equipment for our projects in Goa. To help us make a difference please click on the image above and make an online donation now. There are many other ways you can make a donation - click here to see them all. 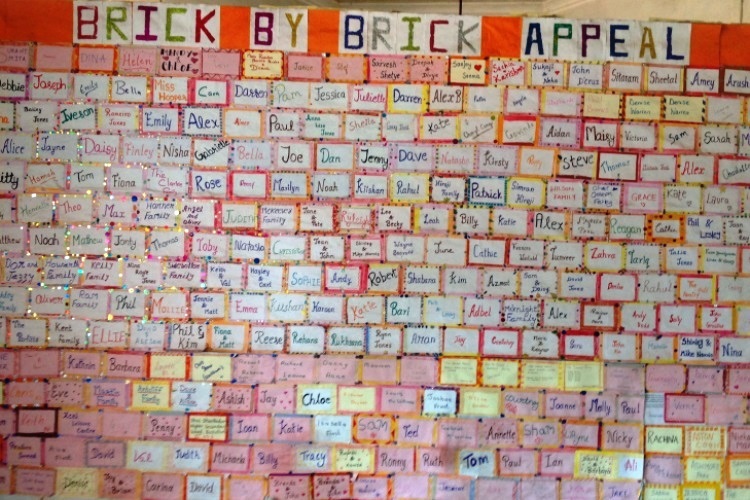 Our Buy A Brick Fundraiser offers everyone the opportunity to make a lasting change by making a donation of £5 or more. Click the image above to read all about it and to see how the children at Mango House are building a “wall” to recognise our donors. 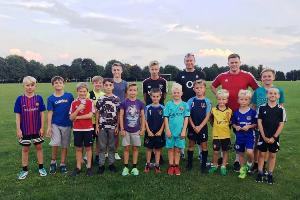 We were thrilled to learn that Wigmore Youth Under 10 football team were undertaking a sponsored run to raise funds for Mango Tree. As promised on September 1st the 9 members of the team completed 5 laps of Kings Frith. Astonishingly a whopping £338.60 was raised for the Brick by Brick Appeal and we say thank you to all involved. 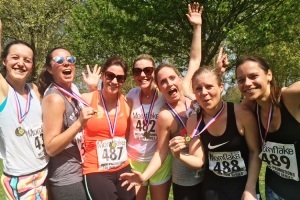 On a glorious sunny Saturday in May these lovely ladies, who all live in and around Peckham, tackled the local Fun Run in support of our Brick by Brick Appeal. You might think from this photo taken after the event that it was a walk in the park but it is actually a 10km run. We say a huge thank you to Katherine, Nikki, Carly, Niamh, Liz, Camilla and Tors for taking on the challenge and raising over £950 as a result..